Hey! Callum Ng @CallumNg checking in from the Iceberg Skating Palace in Sochi! Thanks for joining our Olympic.ca live blog, I'll be here with you all night. Or, I guess I should say morning for everyone back in Canada. Look at you...early risers. I don't think you'll be disappointed. Tessa and Scott will show off their short dance, followed by superstar Kaetlyn Osmond. Let's go Tessa and Scott !! 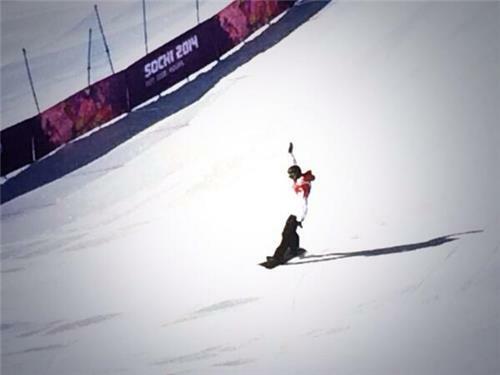 #Sochi2014 #WeAreWinter ???? Time to watch Tessa and Scott!! China's Huang Xintong and Zheng Xun first to skate. China is just behind Canada in third place with 15 pts after Thursday night. Best of luck Tessa and Scott! Tessa and Scott skating soon! Yessssss, I love them! Look who just joined the Canadian team section! Meagan Duhamel and Eric Radford. New leaders in the short dance. Germany's Zhiganshina and Gazsi have the best score so far at 58.04. Impressive that Nick Buckland is even here. In October he had heart surgery for tachycardia, a quickening of his heartbeat. The Brits' coach is Evgeny Platov, who with partner Oksana/Pasha Grishuk were the last ice dance team to repeat as Olympic Champions. Hoping Tessa and Scott will be able to match that feat later in the Games. That's it for the first five! Germans Zhiganshina and Gazsi still have the best score, 58.04. 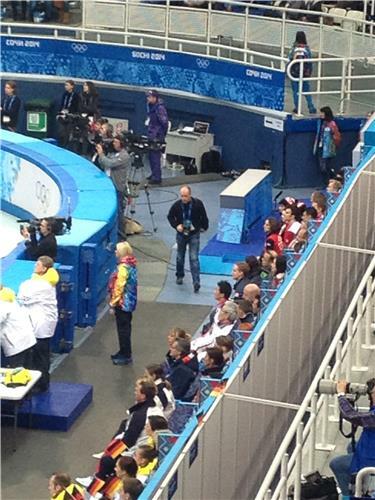 HUGE cheer from the home crowd, for Bobrova and Soloviev of Russia. And now, RUS-SIE-YA being chanted. 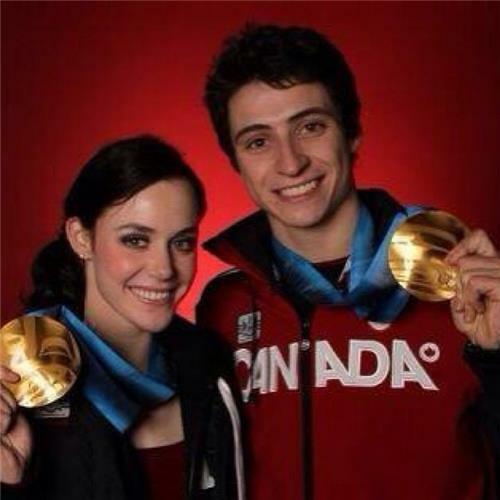 but seriously, when is Tessa and Scott coming up? Woooooo Tessa and Scott are almost on! Tessa and Scott on the ice warming up! So, Tessa and Scott just got a shout out for being Canadian TV stars. The crowd was pumped. As dependable and fantastic as they are, Canada will need a great performance from Tessa and Scott to stay competitive for the gold medal. GO TESSA AND SCOTT!!! you got this! you won before and you can do it again! you guys are da domb! ???? Tessa and Scott up next! Look who we found! Tessa and Scott warming up. Russians score 70.27. Now...Tessa and Scott! are dependable and fantastic. But they'll have to deliver. This is close competition with the Russians. 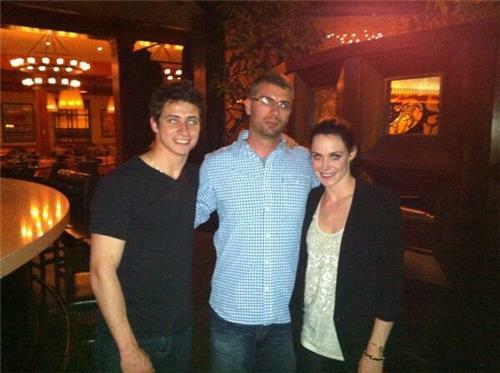 Good luck Scott and Tessa!!!!!! Canadian team on their feet! Virtue and Moir finish their skate. Now await the scores. Solid skate for Meryl and Charlie... let's see how the judges call it. Davis and White in first with 75.98, Virtue and Moir in second with 72.98.